Erica M. Field joined the Duke faculty as an associate professor in 2011. 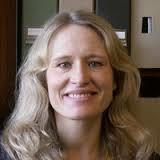 She is also a faculty research fellow at the National Bureau of Economic Research. Professor Field received her Ph.D. and M.A. in economics from Princeton University in 2003 and her B.A. in economics and Latin American studies from Vassar College in 1996. Since receiving her doctorate, she has worked at Princeton, Stanford, and most recently Harvard, where she was a professor for six years before coming to Duke.